Banner Engineering's EZ-LIGHT K90 Series multicolor indicator lights feature a large, 90-mm indicator housing and deliver bright and uniform illumination from all directions and at longer distances, while a highly visible illuminated dome ensures easy-to-see operator guidance. 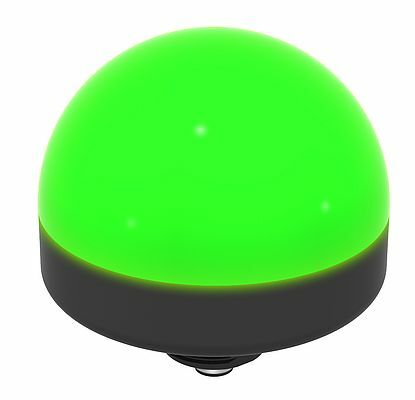 The series indicators provide enhanced flexibility with up to five colors-green, red, yellow, blue and white-available in one device. Available in two models, operators can select from the K90TL, which alternates between colors when multiple inputs are active, or the K90L, which has an auxiliary input line for flashing an active input. For use in harsh environments, the K90 Series features a rugged IP67-rated design and can operate in temperatures ranging from -40 to 122 degrees Fahrenheit. All models offer 12 to 30 V dc operation.